Which Carolina Blue are you pulling for in the epic match up that is known nationwide. Even though Duke is not at their normal dominating facet but North Carolina is really under the radar this year and we all are waiting to see if they can perform against The Nation’s most hated team in College Basketball. I want the Tarheels to win and if Davis comes to play they can beat Duke tonight!!! WOW!!! Its a game and u pullin for Duke Seth???? WOW!! I guess after UCONN Let u down! 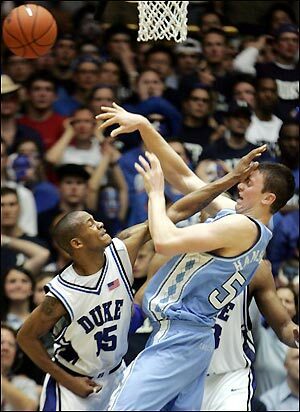 Like I said I cant stand Duke…but UNC doesnt have it this year. look at that i said Duke by 8 and they won by 10! pretty close my man! Who said 62 was a bad number??? Streaking……..